FCA Meets Monday – Give thanks! 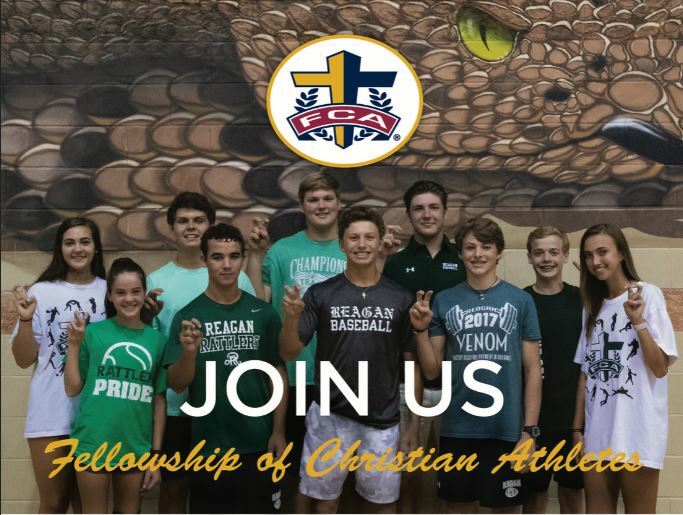 November 24, 2018 – All are welcome to Reagan’s Fellowship of Christian Athletes (FCA) gathering Monday night 11/26/18 @ 6:00 pm in the Athletic Team Room. We’ve got food, fellowship, and an inspirational speaker! December 10th is the next meeting and spring dates are TBD.